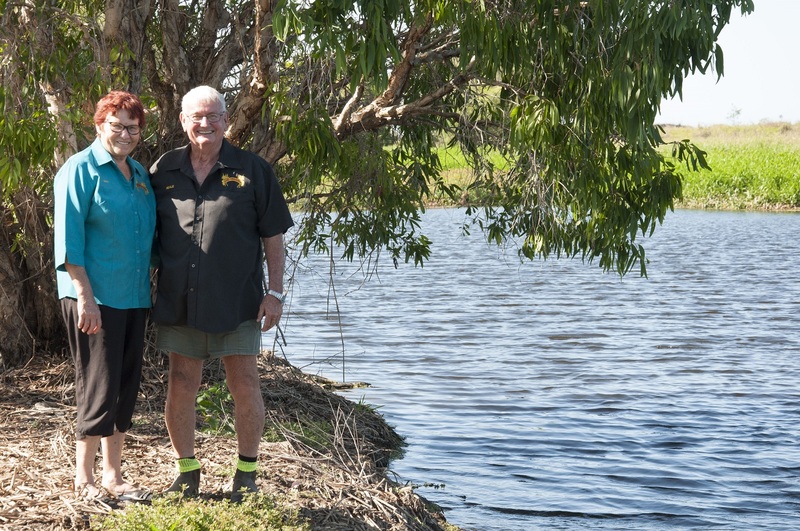 Neale and Lynette Griggs have turned ‘Crooked Waterhole’ into a productive property and healthy wetland. 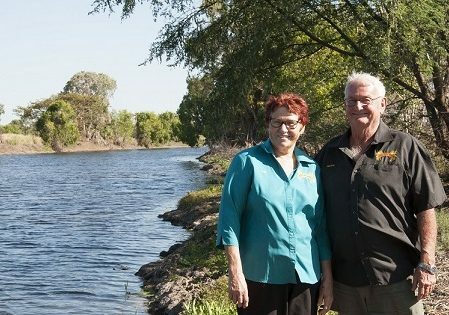 Neale and Lynette Griggs purchased Crooked Waterhole – 100 hectares of land at Giru, near Ayr in North Queensland – in 2015. The property was an investment for their son Rodney and his children, but the land was in disrepair, having been neglected for decades by previous owners. Neale and Lynette set about tirelessly cleaning up the property, clearing woody weeds and restoring the homestead. 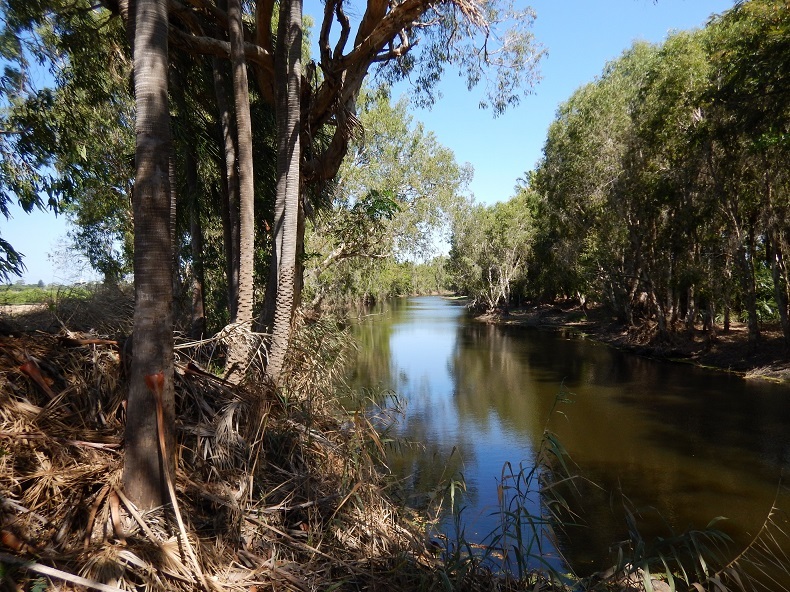 The property also contains unique remnant habitat that drains into the Haughton River, but rafts of exotic weeks had taken over the creek, depleting the dissolved oxygen in the water so most native fish, including barramundi which previously thrived there, couldn’t survive. 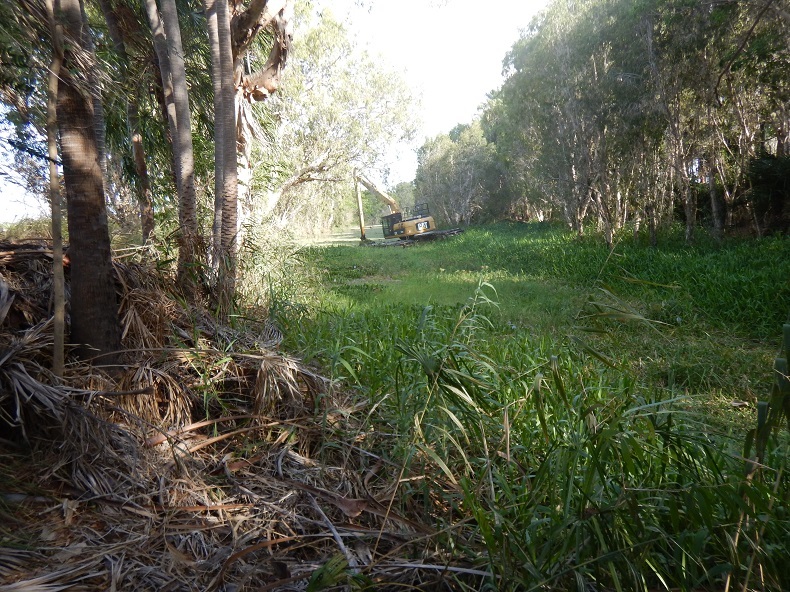 Greening Australia identified the land for its environmental significance as part of its wetland restoration project under Reef Aid and approached the Griggs to assist them with the clean up of the aquatic habitat. Greening Australia Coastal Wetlands and Rivers program manager Dr Niall Connolly said the partnership between the Griggs and Greening Australia had led to an amazing transformation of the property. “Our work complemented the work Neale had already done, but we brought in equipment, expertise and resources to assist Neale to achieve his desired outcomes for the property,” Dr Connolly said. “Mr Griggs had already tackled terrestrial weeds such as Chinee Apple, Prickly Acacia, Parkinsonia and Rubber Vine, but clearing the aquatic weeds was a logistical challenge. “We brought in an amphibious excavator and cleared Hymenachne, Water Hyacinth, Salvinia and Water Lettuce. 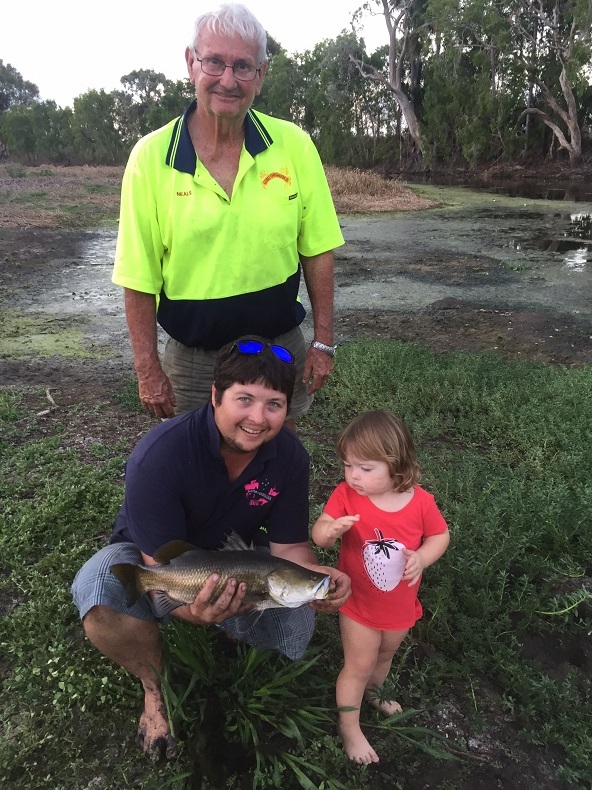 “In a very short time the property has been transformed and the success of the project has seen the return of barramundi, and the number of wetland bird species on the site has more than doubled in 12 months. The dedication to restoring the property earned the Griggs a Greening Australia environmental stewardship award in 2017. Mr Griggs said the partnership had been very rewarding. “People can’t believe the results and it’s just made the property so much more valuable,” he said. “The Crooked Waterhole project is a fantastic demonstration of what can be achieved if landholders and organisations like Greening Australia work together,” Dr Connolly said.